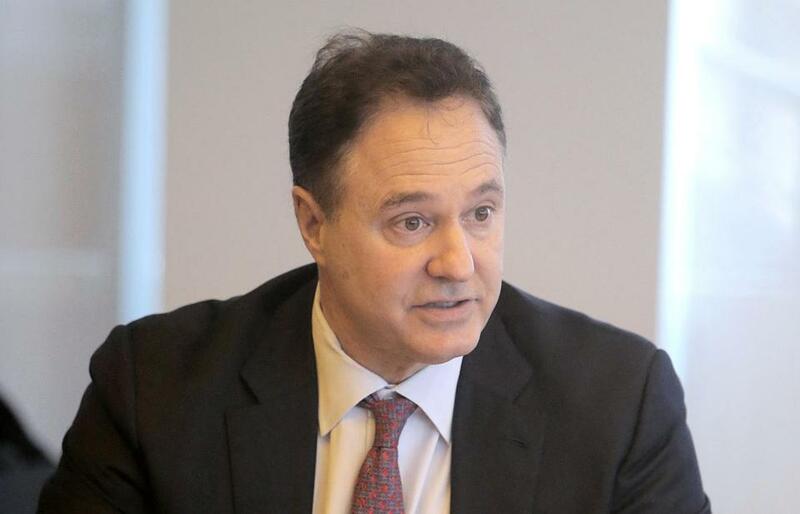 You have to look at it through the prism of what are the benefits, what are the risks, and what are the probabilities of those risks,” said Steve Pagliuca. The new chairman of the local Olympic bid committee is blunt about the potential risk to taxpayers that would come with hosting the Summer Games: Yes, there will be some, no matter what safeguards are in place. “You can never say the risk is zero,” said Steve Pagliuca, a Bain Capital executive and co-owner of the Boston Celtics, who took over leadership of the group, Boston 2024, in May. Boston 2024 is prepared to make a numbers-based argument that the Games are worth pursuing, Pagliuca said on Friday, in his first extended sit-down interview as chairman of the bid committee. “We’re going to lay all that out there,” he said. Harvard says it was not aware of the extent to which Boston 2024 highlighted the university’s involvement. 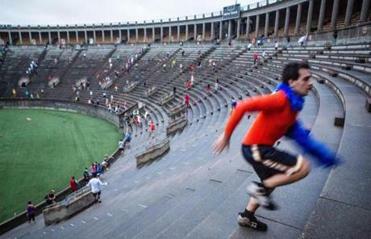 The concept of risk has played an enormous role in the public debate over Boston’s bid to host the 2024 Summer Games. Opponents have built a whole campaign on the notion of risk, arguing it is not worth bringing the Olympics to Boston if taxpayers would be on the hook for revenue shortfalls or cost overruns. Polling suggests a fear of Olympic costs taking money from public coffers is a top concern among taxpayers. Pagliuca said Boston 2024’s new Olympic plan, what the group is calling version 2.0, will define potential risks and show how they can be minimized. The opposition group, No Boston Olympics, has hammered the bid committee over risk. “Boston 2024 can tell you the date of its opening ceremonies and the location of venues, but still can’t answer basic questions about how taxpayers will be protected from the cost overruns that have afflicted every Olympic city since 1960,” the group said in a statement last week. Pagliuca, who ran for US Senate in 2009, is piloting the organizing group at a critical time, with polls suggesting public support for the bid has fallen, and with the group racing against a June 30 deadline to release a new venue plan and budget for the Games. The Olympic bid has been battered by controversies, and it is an open question whether a skeptical public can be persuaded to give Boston 2024 and its new venue plan a fresh look. The new chairman has focused the organization on publishing the new Olympic venue plan by the end of the month. This probably represents Boston 2024’s last chance to win over public support, and it is hard to imagine the bid going forward if the revised plan is widely panned. The bid group has released the first two proposed venues under the new plan: Olympic sailing in New Bedford and Buzzards Bay, and tennis in Boston’s Harambee Park. Additional venues will be announced next week, Pagliuca said, leading up to the release late this month of detailed plans for the most complicated Olympic facilities, a stadium proposed for Widett Circle, and an athletes village planned for the University of Massachusetts Boston. He confirmed that more venues will be proposed outside of Boston. “There will be several venues moved that people really want in other parts of the state,” he said. Critics have suggested a more spread-out Games would undermine the bid group’s goal to build a “walkable” Olympics, but Pagliuca said the Games will remain largely compact, with the majority of venues in and around Boston. To refine the projected Olympic operating budget, Boston 2024 has been studying prior Olympic ticket sales, promotional licensing, and contributions from the International Olympic Committee, which will choose the 2024 host in 2017. Those and other private sources should provide about $4.7 billion in Olympic revenue, he said. On the cost side, Boston 2024 is building “a significant cushion” into each venue for contingencies, he said. Boston 2024’s new Olympics operating budget will project a surplus, he said, standing as a further guard against cost overruns. “On top of that, we’re looking at insurances, both at a contractor level and a Boston 2024 level,” he said. The insurance plan for the Games will be based on a model Chicago proposed in its unsuccessful bid for the 2016 Olympics, which went to Rio. Private developers will assume some risk, he said, for major venues such as the athletes village, which, under the plan, would be built by the private interests as dorm space and as apartments. The developer would then lease the housing back to Boston 2024 for the Games, and then run it after the Olympics as a commercial venture. The possible reward, he said, is an international event that would bring $4.5 billion in private investment to the state, as well as boost tourism for years.